Specific Oral Spray indicated for decreasing excessive salivary glucose. Formulated with a patented blend of milk proteins extract and plant extracts, combined with the clinically proven DUOX system, AnOxident balance® Oral Spray provides physiologic antioxidants and prevents periodontal problems related to salivary glucose’s excess on teeth and gum and supports mouth’s natural balance. 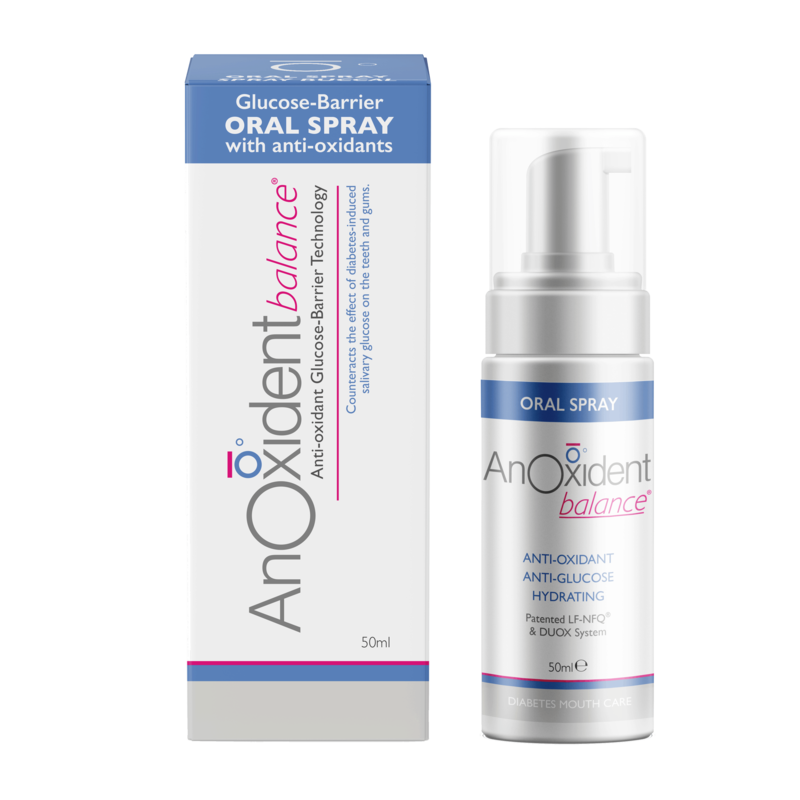 Used regularly during the day, AnOxident balance® Oral Spray builds a barrier against excess salivary glucose. The mineral-rich formulation also helps to rebalance oral moisture, promote mouth health and comfort and keep your mouth moist and fresh. Especially recommended to control the oral impact of Diabetic-related excess salivary glucose.